Il est presque impossible de croire qu'un porc pourrait croître ce grand. Cette énorme créature pèse 1.051 livres avec une longueur de 9 pieds. Ce qui rend cette histoire encore plus incroyable est le fait que ce géant a été capturé par un garçon de 11 ans. Bas ça! The American actor, Haitian, Perri Pierre is currently working on a documentary about the South of Haiti, has compiled a list of 10 reasons why the South of Haiti should be the next destination of a tourist. The documentary on which he works, whose shooting was completed in December 2015, will present several of these magical places in the South. It is a fact! South people are more welcoming. I'm sure you have heard around the world. And it is no different in Haiti. 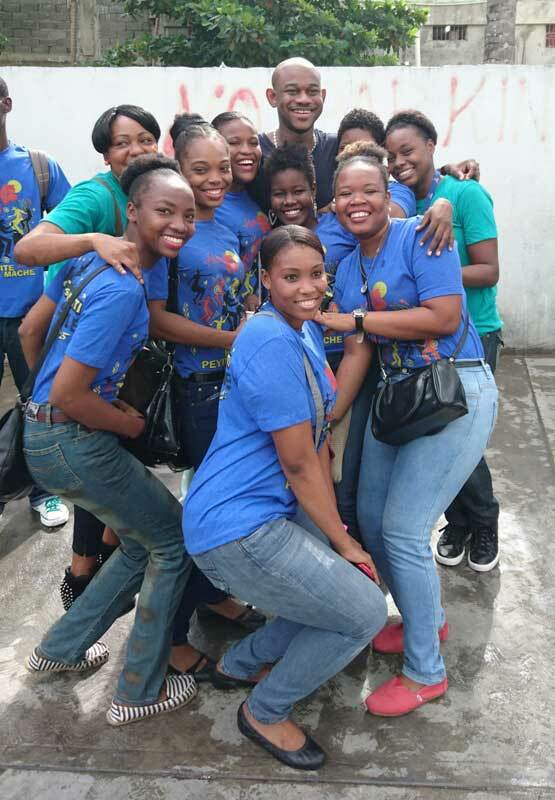 Perhaps, that's why they call it the capital of this department, Les Cayes "City of hospitality". 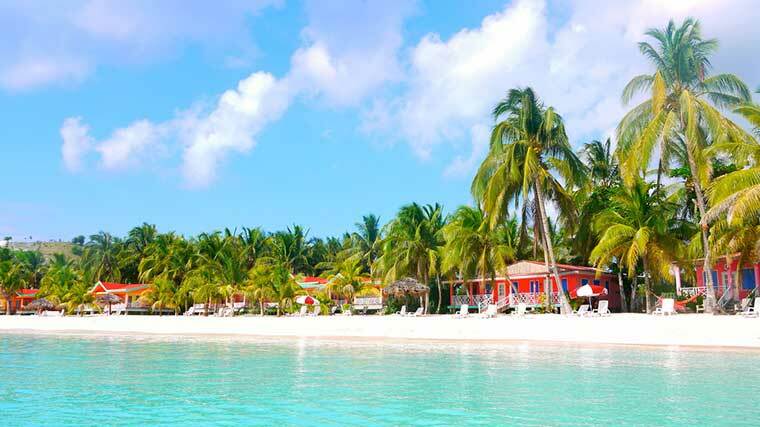 On aquin in Coteaux, the South has some of the best beaches in the country. 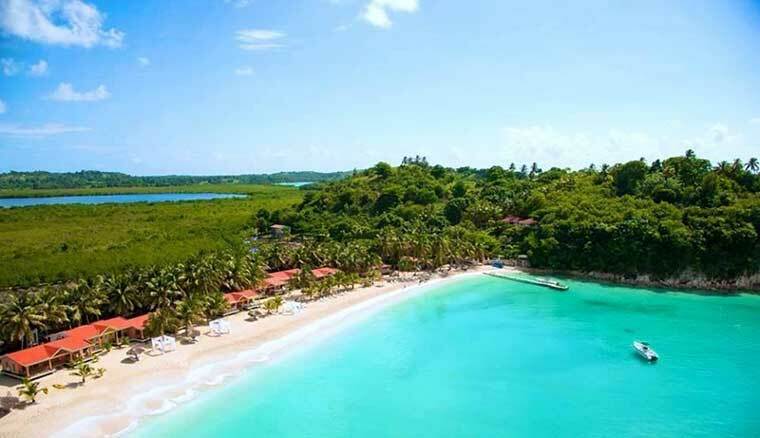 This list includes, Frost - one of the longest and most visited beaches in Haiti; Point-Of-Sand in Port Hi, and do not forget Abaka Bay - which was part of the 100 best beaches in the world according to CNN chain. Speaking of Abaka Bay, it is part of one of the most beautiful beaches in Haiti. 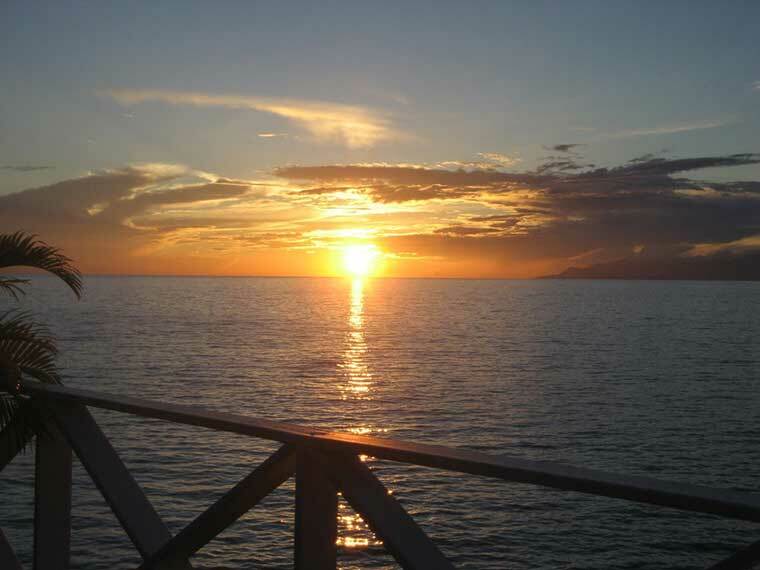 Located in Ile-a-Vache, it is only 15-20 minutes by yacht out of Les Cayes. But Abaka Bay is not the only resort on this island, there is also Port-Morgan. 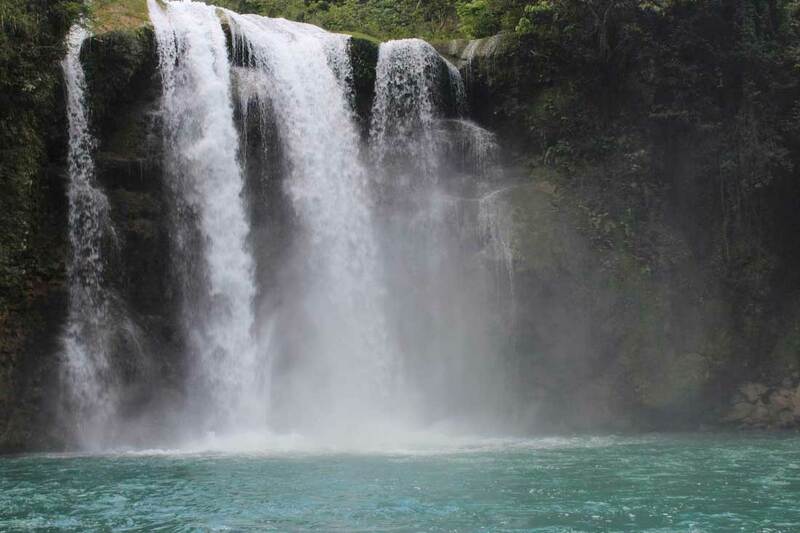 Located in Camp-Perrin Saut-Mathurine is one of the largest waterfall in Haiti. The source of its water jet coming from the Rivière de Cavaillon. Simply amazing! Located Bergeaud, less than 2 km from Les Cayes, the botanical garden contains plants, fruits and very exotic flowers. 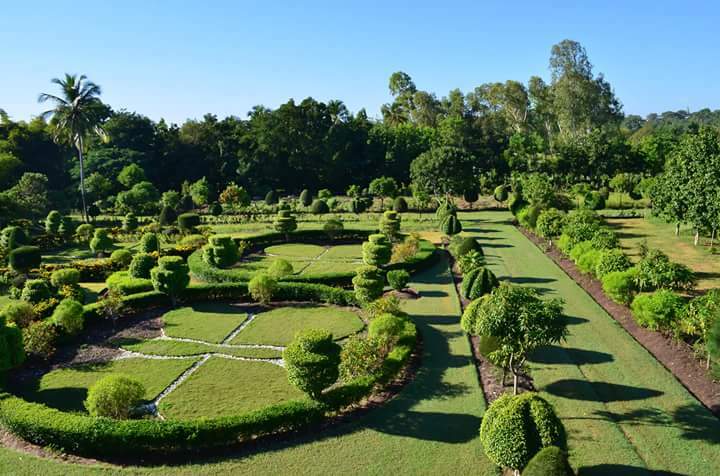 Built on 8 hectares, it is the most spectacular botanical gardens in the country and soon the best of the Caribbean. Do you like walking? Like climbing the mountain trails? Well, you're in the right place. 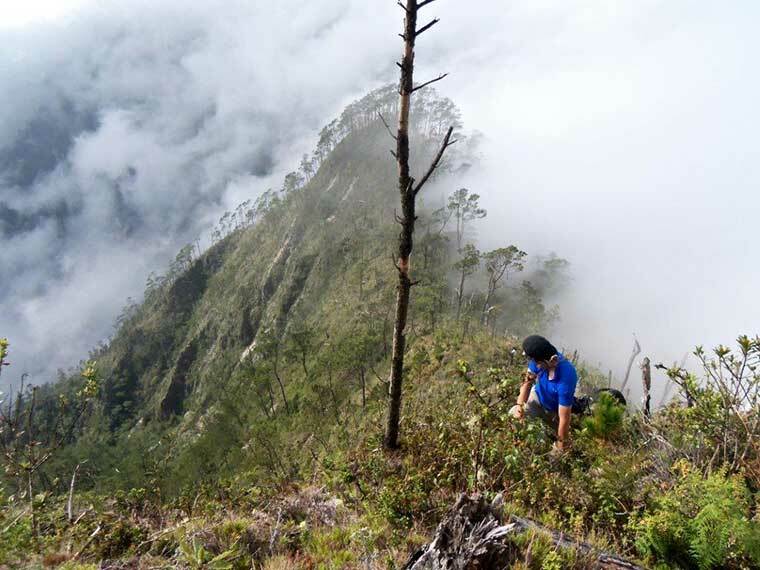 The South is home to the second highest mountain in Haiti: Macaya. Many historical battles took place in the South. The forts were built as a form of protection. Among them we can mention, the English Fort and Fort of Olives. 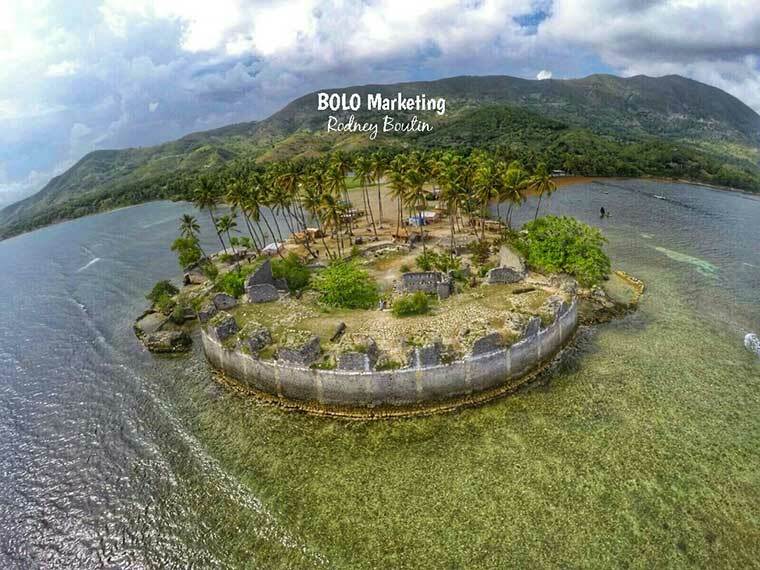 Both located in Saint Louis du Sud, about half an hour from Les Cayes. The Fort des Oliviers was built by the French during the colonial period, the fight against the English. Southern Haiti two of Haiti's caves, including the largest in the country: The Marie-Jeanne cave. It is located in Port-à-Piment, in the western part of the South. 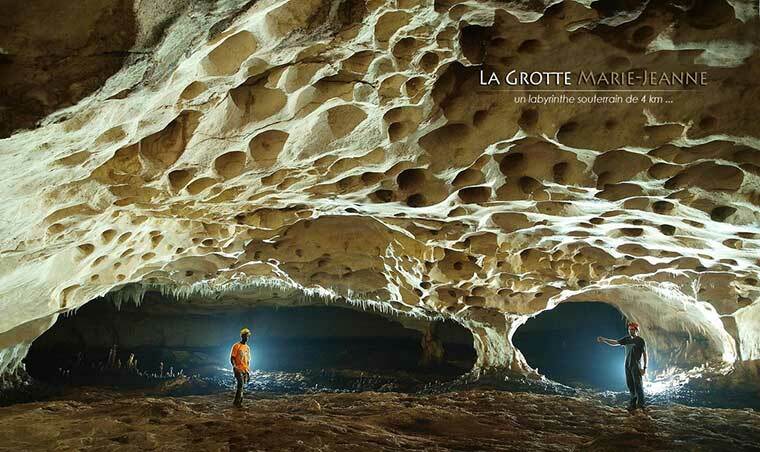 This cave is about 120 meters deep and 4 kilometers long, making it one of the largest caves in the Caribbean. All towns on the southwest side of the country the ideal angle for watching the sun set slowly in the sea. My favorite place is Port-Hi. It has the most beautiful sunset I have ever seen. To be honest, everyone has a different taste in terms of food. But if you like seafood, southern leaders will serve you the best seafood. 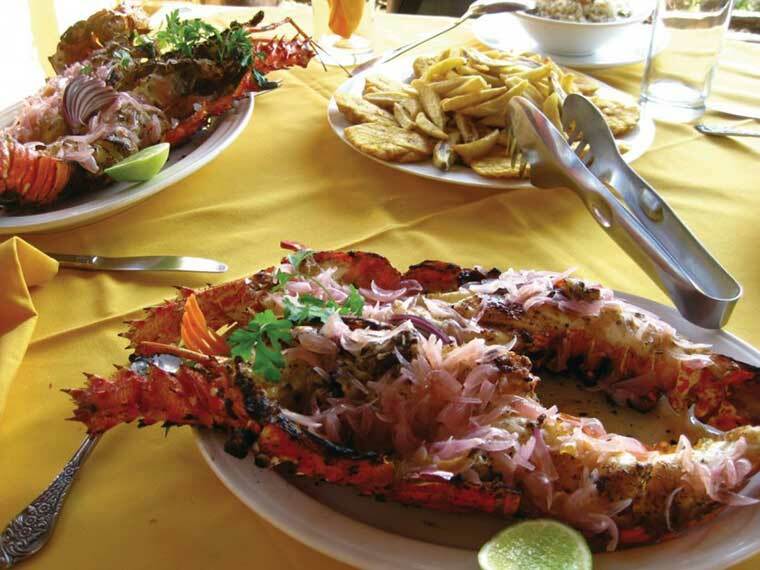 From Conques to jelly, lobster Port-hi, the South will make you the best seafood you've ever tasted. -Mwen deteste jou samdi a. -Mwen konn poukisa w di sa wi. I know why you said that. -Poukisa ou panse m di sa? Why do you think I said that? -Chak semèn, depi samdi rive, ou toujou di menm bagay la paske samdi se jou nou fè menaj kay! -Eske w ka ban'm tò mezanmi? Ki plezi ki genyen nan bale, pase mòp, ak foubi kras? Can you blame me? What fun is there is sweeping, mopping, and scrubbing dirt? -Mwen jis pa renmen fè menaj nan kay. Si m te gen lechwa, chak samdi mwen ta al chita bò lanmè Montrouis a pou m bwè byè depi solèy leve jis solèy kouche. I just don't like to do house chores. If I had the choice, every Saturday I would go sit by the ocean of Montrouis to drink beer from sunrise to sundown. -Enben si ou rayi l tout rayi sa a, se pou w anplwaye yon bòn pou fè menaj kay la pou ou. Well if you hate it that much, you should hire a maid to do the house chores for you. -Non. Mwen pito lave pwòp asyèt pa'm. E mwen vle ranje pwòp kabann mwen tou. Nanpwen moun ki ka fè pi bon dyòb pase m.
No. I rather wash my own dishes. And I want to make my own bed too. No one can do a better job than me. -Nou pa oblije fè netwayaj jodi a. Kay la p'ap soufri si n sote yon semèn. We do not have to do the cleaning today. The house won't suffer if we skip a week. -Men non, nou p'ap ka fè sa. Sonje, nou te sote netwayaj la semèn pase? E dayè, n'ap gen envite demen. But we can't do that. Remember, we had skipped the cleaning last week. And besides, we have guests tomorrow. -Manman w ak nouvo mari l la ap vin dine avèk nou. -O O! Nan ka sa a, an nou met men ansanm pou n ka fini pi vit. O O! In that case, let's team up together so that we can finish faster. -Sa se yon bon lide. M'a netwaye anndan an, e ou menm, ou va netwaye deyò a. -Wi. Mwen va lave fenèt yo. M'a bale payason yo. E m'a fè gazon an, epi pase rato sou li. Yes. I'll wash the windows. I'll sweep the doormats. And I'll mow the lawn and rake it. -Dakò. E mwen menm, mwen va siye mèb yo, pase bale elektrik nan chanm yo, e pase mòp nan rès kay la. -Lè nou met men ansanm, kantite travay la vin diminye. When we team up together, the workload becomes lighter. -Wi, konsa n'a fini anvan lontan. Yes, this way we'll be done before long. -Distans pou apremidi rive, n'ap gentan sou plaj Montrouis a, lanbi griye nan yon men e yon boutèy wonm nan lòt men an. By the afternoon we'll be at the beach of Montrouis, grilled conch in one hand and a bottle of rum in the other. -Mwen renmen lè w pale konsa. Eske ou panse n’ap gen chans al laplaj jodi a? Do you think we'll have the chance to go to the beach today? Oh non, m pa kwè n’ap kapab. Tan an mare deyò a. Tout syèl la tou nwa. Sanble lapli pral kòmanse tonbe. Oh no, I don't think we'll be able to. The weather looks bad outside. The whole sky is totally dark. It seems as if it's going to start raining. Kwake li fè cho anpil, e nou bezwen yon ti lapli pou desann chalè a, mwen vrèman swete lapli pa ta tonbe jodi a. Although it's really hot, and we do need a little rain to bring the heat down, I truly wish that it would not rain today. O poukisa ou di sa? Ou konnen byen kiltivatè peyi sa a bezwen dlo lapli a pou grandi fwi ak vejetab yo. Why do you say that? You know very well that the farmers of this country need the rain to grow their fruits and vegetables. Wi, mwen konnen. Men mwen te reyèlman espere al benyen nan lanmè jodi a. Tout rejim mwen t’ap fè pou prepare m pou vakans lan ta initil si m pa ka al fè bèbèl ak shotdeben m. Lapli a degoutan. Yes, I know. But I was really hoping to go bathe in the ocean today. All this dieting I did to prepare for this vacation would be useless if I can't show off my bathing suit. The rain is an inconvenience. Mwen t’ap koute radyo. Yo anonse tanpèt pou apremidi a.
I was listening to the radio. They've announced a storm for this afternoon. Sa vle di ka gen gwo van, loraj ak zeklè. E li pa pridan pou al naje nan move tan konsa. Angiz chòtdeben, se ak parapli nou pral oblije soti. This means that there may be strong winds, thunder and lightning. And it's not safe to go swimming in bad weather such as this. Instead of wearing bathing suits, we'll have to go out with an umbrella. We may still enjoy ourselves if we go see a film at the movies. Ya… Men se pa pousa m te vin nan vakans. Nou kouri pou lanèj ak fredi, nou vin tonbe nan chalè ak lapli. Yeah, but that's not why I came on vacation. We ran from the snow and cold weather, and found rain and heat. Se konsa lavi a ye. Men se pa pou nou rete plenyen. Petèt demen move tan an va pase e li va fè bon. Men Jodi a, n’ap pran parapli nou pou n’ale sinema. That's life. But we must not complain. Maybe tomorrow the bad weather will pass and it will be nice. But today, we'll take our umbrella and we'll go to the movies. Dakò. Se yon bon lide. M’espere solèy la va klere demen. All right. It's a good idea. I hope the sun will shine tomorrow. Zeklè klere, li fè m sote. Loray gwonde, fè kè m rete. Mwen pa ka wè devan m.
Kibò m prale? Mwen pa konnen. Petèt lanmò kache tou pre m.
Kijan Wikenn ou te Pase?